Being a small business owner is not easy. You have to deal with many unique challenges that make the ride quite unpredictable. Starting with making the often difficult decision to quit your steady job, to pitching your idea to friends and family for funding, and finally to building a solid team of employees. Yet one of the greatest, and often overlooked, challenges is coming up with an effective digital marketing strategy to draw attention to your business. Unfortunately, only 61% of marketers believe their strategy is effective, with generating traffic and leads being the top challenges. When so many things matter, focusing on the external side of your business might sound like something to do once the structural part is already in place. But this external side is the only aspect of your business that is visible to the client. The last thing you want to do is build a website, create a Facebook page, open a Twitter account, and start promoting your business without a direction or specific goals to reach. You may have an idea of what SEO means and understand the power of social media and reviews, but not know how to put everything together to create a solid online presence to rank you on page one and drive clients to your door. In just 4 simple steps, you can start garnering more organic SEO traffic (which is about 5.66 times better than paid search ads) and close more deals. 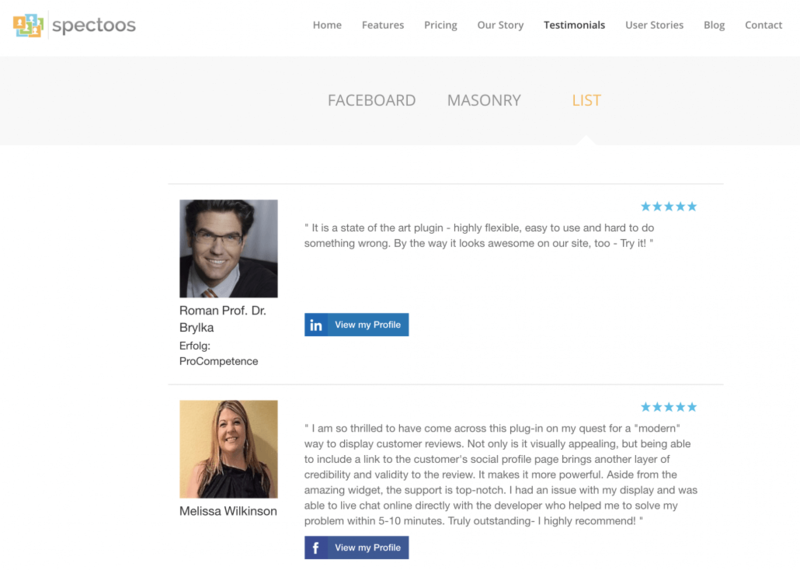 Display authentic customer testimonials by signing up for Spectoos today! Don’t build a website just for the sake of it. The last thing you want is a landing page that says “under construction,” or to have pages that are impossible to navigate and include irrelevant content. A single bad experience can make users 88% less likely to visit your website again. At the same time, you don’t want to be one of 29% of small businesses that doesn’t even have a website. So you need to take the time to design a website that is focused on the customer experience and selling your brand. Your website is your online persona. It must represent who you are and what you do in an attractive manner. Consumers are spoiled by intuitive navigations and rich designs—blame it on social media and smartphone technology—and you should continue to spoil them rotten. Design a website for the end user and search engines at the same time. It does not matter how they find you if they leave immediately. So, how do you keep customers coming back for more? There are a few things you should do when designing your website. Users don’t want a complicated website they can’t navigate. Instead, they want something with a great user experience. This means keeping text short and readable (hire a copywriter for this portion if necessary). It also means using images when appropriate to get your point across and to add interest. Asana is a great example. Its homepage is clean, easy to navigate, displays their product, and starts with a simple call to action. Reviews are an incredibly powerful tool for customer satisfaction and lead generation. Nearly 95% of shoppers read online reviews before making a purchase, and 72% of customers won’t do anything until they’ve read reviews. That’s why adding reviews using a tool such as Spectoos—which includes images and links to social media for relevancy—is a great way to ensure that potential customers visiting your website are also more likely to convert. Here are some ideas to get more customer testimonials for your business to use. Seamlessly integrate all your testimonials in one place, sign up for Spectoos today. Google drives 96% of mobile search traffic and over 51% of smartphone users have discovered a new company or product while using their phone. That’s why making sure your website is mobile ready is key to getting found by your customers. To check if your website is mobile ready, use Google’s free Mobile-Friendly Test. Having a Facebook page and “Like us on Facebook” signs on your website, physical store, or business cards is not enough to drive people to Like your page and follow your posts. Even paying for ads to increase your following is not effective, as only a small percentage of these followers actually engage with your posts. Facebook is an advanced advertising platform that can be very effective if used properly. However, remember that Facebook is not the only social media platform. There are multiple platforms, all of which have their unique advantages. Facebook has over 2 billion monthly active users, and is highly successful for B2C and B2B marketers. In fact, 42% of B2B marketers consider Facebook their most effective platform. Instead of using Facebook for everything, focus on utilizing it just for what it’s best at: customer support, increasing website traffic, and customer interaction. If you want to find and follow influencers, Twitter is the ideal platform for you. You can use it to engage with bloggers who write about products and services similar to yours and to share stories or find complementary brands you can work and exchange ideas with. The good news is that 85% of users feel more connected to a business after following them on Twitter. The key to an effective digital marketing strategy on Twitter is frequent tweets. Twitter internal data shows that B2B audiences are much more likely to engage after repeated exposure. In fact, someone who has seen a business’s message four times is 335% more likely to click on the link. However, you shouldn’t only post things about your business. This will help you build a following without alienating your audience. Eventually, you will position yourself as an authority in your market. From this point on, you can provide customer support (which 85% of SMBs claim is highly important) and more. 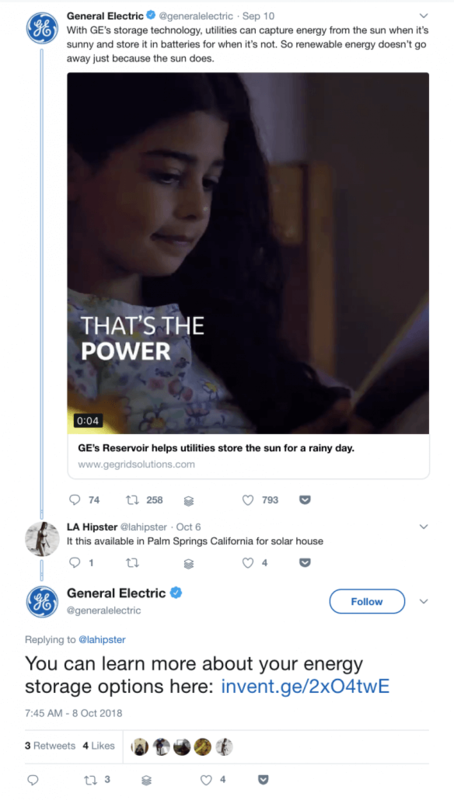 One company that has used Twitter well is @GeneralElectric. They regularly post about their products and how they can help, while also responding to customers’ queries. LinkedIn is used by more than 97% of B2B companies, and with over 500 million members it’s a smart choice. The platform is best for promoting/launching new products—more than 90% of B2B companies prefer LinkedIn for product marketing—as well as for strengthening relationships. Instagram is used by 48 percent of brands and works best when leveraging user-generated content, sharing personalized photos and videos, and engaging with customers on mobile. With more than one billion users, YouTube is the second largest search engine in the world. 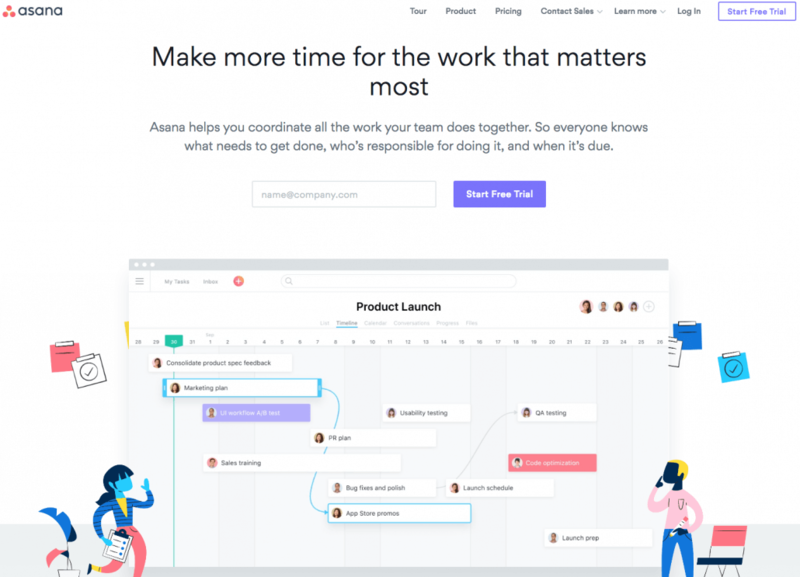 B2B organizations can embrace the platform as a powerful medium for tutorials, product overviews, storytelling, and more. Don’t be afraid to populate the internet with good reviews about your business. Online reviews are incredibly valuable from a user perspective. Both Yelp and Google reviews help customers find quality businesses from cleaners to hair salons, restaurants, and more. Business review sites, such as Yelp, play a key role when it comes to local SEO. Businesses that recognize this are already spending some money on ads to improve their visibility. And why not? 90% of Yelp users say positive reviews impact their buying choices, and 93% of people who conduct research on review sites, such as Yelp, typically make purchases at the businesses they look up. The Healthy Spot pet store in Los Angeles, California explains that you can use “Yelp as a megaphone to amplify that [your] message.” By using word-of-mouth marketing and Yelp, Healthy Spot was able to get the word out about their quality products and go the extra mile. If you own a B2B company, there are multiple review sites where you can ask that your customers write a review about your business. Google My Business: This is a great site for creating a free business listing to increase your visibility on Google Search and Google Maps. Simply search for “product X reviews” on Google and identify industry specific sites for your business. Yahoo Local: This is ideal for small businesses who want to showcase their establishment across 60+ directories. Bing Places: This business portal enables you to add your listing on Bing so more people can find and review you on Bing Search and Maps. Foursquare: This is ideal for businesses active within neighborhoods who want to connect within a trusted sphere of influencers. Citysearch: This is a popular city guide to all things food, entertainment, and shopping related. The site is great for promoting events and local search. Angie’s List: Mainly for healthcare and home services, this website is great for gaining credible positive reviews about your business. Setting up a profile is free. YellowBot: Ideal for a variety of industries and businesses, this site pulls reviews from other sites for a more robust listing. It’s the yellow pages with ratings and reviews. Manta: Manta is tailored to small businesses and has optional paid marketing to help improve your brand reputation management. Glassdoor: This site is mostly for job seekers, but it can still be beneficial to help growing your business by demonstrating that you have happy employees, which translates to good customer service. The key is to monitor what is being said about your company and to engage with your customers. To do this, set up Google Alerts for your brand and take appropriate action when you read a bad review. A sincere response and some simple internal corrections are often more than enough. Your customers want to know that you are capable of responding to their needs. Developing an effective digital marketing strategy does not happen overnight. Set realistic goals, spend time on your website, pay attention to social media, and focus on garnering positive customer reviews if you want the biggest bang for your buck. Just remember that the more customer centric you are, the better your relationships will be and the more opportunity for high quality leads and conversions. Just don’t forget that working offline is important too. It will be much easier to create a solid online presence, if your offline customers already have good things to say about you.